THE US DEPARTMENT of Justice is set to release a redacted report on the Mueller investigation into alleged Russian interference in the US presidential elections on Thursday. Last month, US Attorney General William P. Barr announced that the investigation – which took 22 months to complete – had finished and had cleared Trump campaign of any collusion with Russia. In a letter at the time, Barr said the report “did not find that the Trump campaign or anyone associated with it conspired or coordinated with Russian government” – a claim refuted by many who insisted the report should be published in full. 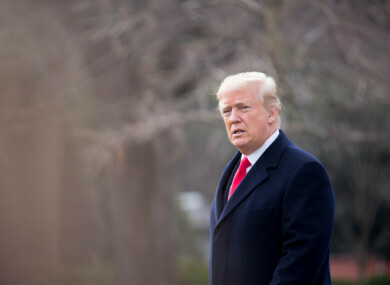 The report could feature allegations that Trump tried to obstruct the investigation, although Barr has said there is not sufficient evidence to establish he committed such a crime. Ahead of the 400-page report’s release, Trump and the White House have criticised Mueller’s investigation once again, claiming it involved the FBI “spying” on the president’s 2016 election campaign. Barr, however, said Mueller found no evidence of criminal conspiracy by Trump’s campaign to collude with the Russian government to skew the 2016 election in Trump’s favor over Democrat Hillary Clinton. But court cases arising from the investigation – Mueller charged 34 people, including six former Trump aides and 26 Russians — have detailed multiple contacts between the Trump campaign and Russians. Email “US justice department to publish 'redacted' version of Mueller report into Russian collusion on Thursday”. Feedback on “US justice department to publish 'redacted' version of Mueller report into Russian collusion on Thursday”.